But there's apparently a Yoga class on Level 4. Parking Sign, you only had one job...One Job. LOL @ yoga class on level 4! lol. reminds me of last summer when erindale garage opened. 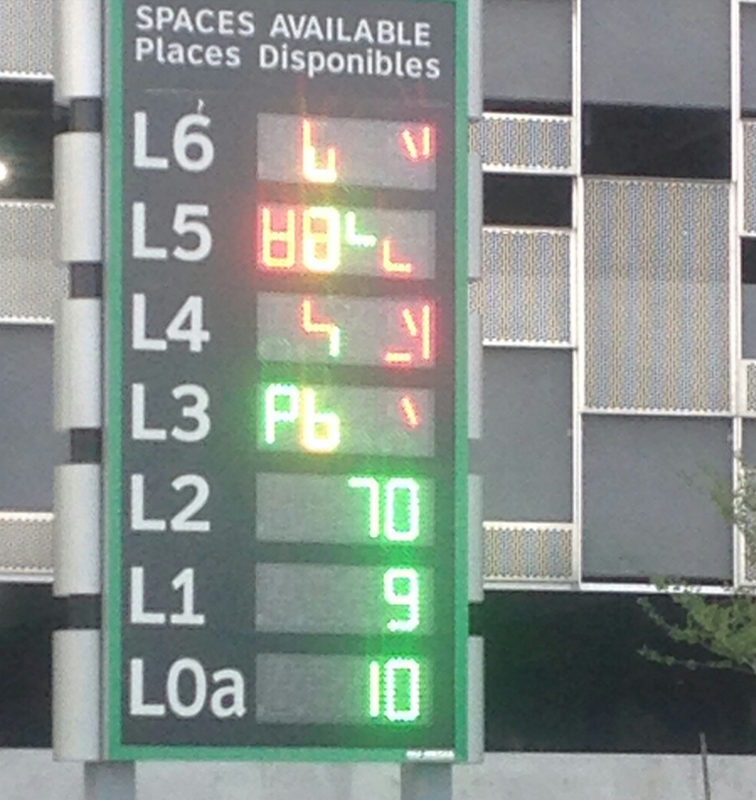 first two days it was giving wrong info for the first two general parking levels. for both levels it had big numbers for spots available but as i and several other cars drove around in circles on those levels looking for the many available spots, we all realized the sign was way off. there were no spots. i ended up on a higher level and then had to run for the train due to the time wasted circling around. i would guess several people had to run or missed their train altogether for the same reason. i emailed GO to make sure they were aware of the problem. they said they'd relay it to the company responsible for it. What is Level 0a? Wouldn't ground be 1? There are actually 2 1/2 levels below ground level. That is why there is 0a and should show a 0b, but 0b is all paid parking if I remember correctly. What in odor eater hell is this? Don't you just love that new train smell? How about someone pick up a hammer? Is this true?! Or is someone trolling footriders?